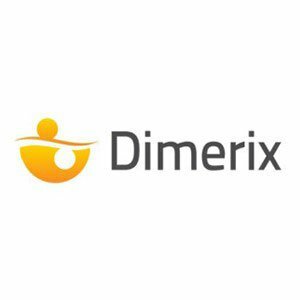 Dimerix (ASX:DXB) has just completed its “pre-IND” consultation with US regulatory body the Food and Drug Administration (FDA) with some encouraging outcomes reported. The big news for DXB is that its intended Phase 3 DMX-200 trial will be positioned as an adjunct therapy and not a fixed dose combination therapy. In other words, DXB’s DMX-200 trial will be completed by adding one drug to patients on the existing standard of care. Many patients are already taking an angiotensin II type I receptor blocker, which is registered in the US for treatment of high blood pressure and diabetic nephropathy, a disease of the kidney, and the trial will add a chemokine receptor CCR2 blocker, used for its anti-inflammatory properties, to this routine treatment. This confirmation is a key development for DXB — not only could this significantly de-risk the DMX-200 trial, but equally importantly, will drastically reduce the time, effort and cost required to progress DMX-200 through to final approval and end-user sales. Remember, however, that this is still an early stage biotech company and anything can happen, so remain cautious when considering adding this stock to your portfolio and seek professional financial advice. All in all, DXB’s ambitions have been well and truly validated by the FDA which now leaves DXB with a smoother and less fraught development path. A key caveat for DXB is that “substantial further investment should not be required before filing the Investigational New Drug application (IND) for the first US study, known as the PK study”. When a budding young company is told it doesn’t require substantial additional funding, that tends to be a good measure of progress. Stage 2 results are also imminent for DXB — currently expected around October 2016 at the latest. 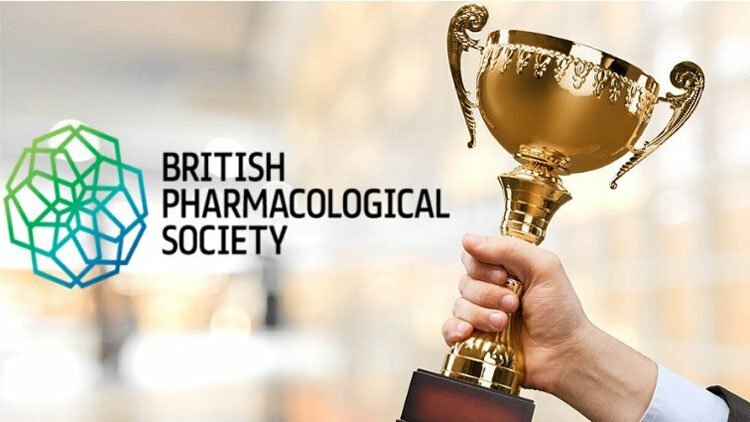 With research and development neatly taken care of, further validation comes in the form of the Novartis Prize — an annual award by the British Pharmacological Society which has recognised DXB’s Chief Scientific Officer for his work on DMX-200. ...but it’s the recognition from DXB’s Board that could make all the difference for DXB investors, and chronic kidney disease sufferers. With Professor Pfleger as DXB’s Chief Scientific Advisor, and positive progression of its clinical programs, means DXB’s underlying discovery engine can be further developed to generate new opportunities. 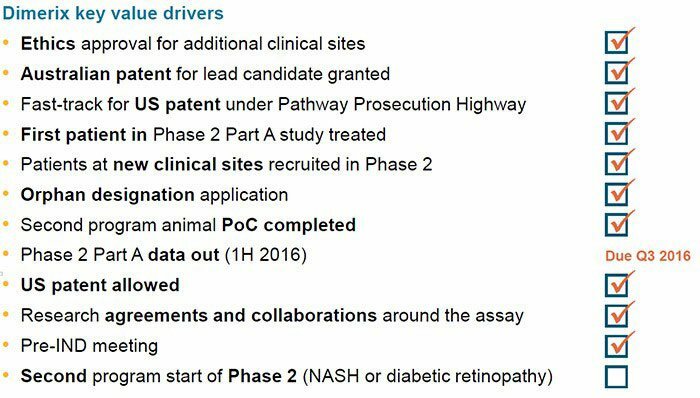 With all that and more (including a new DMX-250 variant that will focus on treating Non-Alcoholic Steatohepatitis (NASH)) we’re back to re-sync our readers with DXB’s story — a budding early-stage pharma company aiming to become a rapid biotech growth story that leverages modern lifestyles. Modern lifestyle habits that become apparent with growing incomes reach far and wide in society. As most readers will already know, as countries develop so do their middle-class and disposable incomes. The only slight issue with rapid industrialisation and middle-class enlargement, is that it can induce higher rates of disease as modern lifestyles reveal a rather unhealthy undercurrent. The fact remains that it is the richer and better economically developed Western societies that continue to post the highest rates of diabetes, metabolic syndrome, obesity, heart disease and kidney disease. It would seem Western diets and lifestyles are creating a huge market for pharmaceuticals within a range of specific areas. However, DXB is not developing a drug in its own right — rather, DXB is developing an “assay platform” that can better tweak early-stage drug development and tune it to much better performance in FDA trials. DXB’s first wave of attack is via DMX-200 — a combination of two existing drugs, irbesatan and propagermanium (PPG). DMX-200 combines irbesartan and PPG in the treatment of chronic kidney disease (CKD) and has been shown to improve the outcome of CKD by reducing proteinuria (kidney damage) by more than 50% in animal tests. 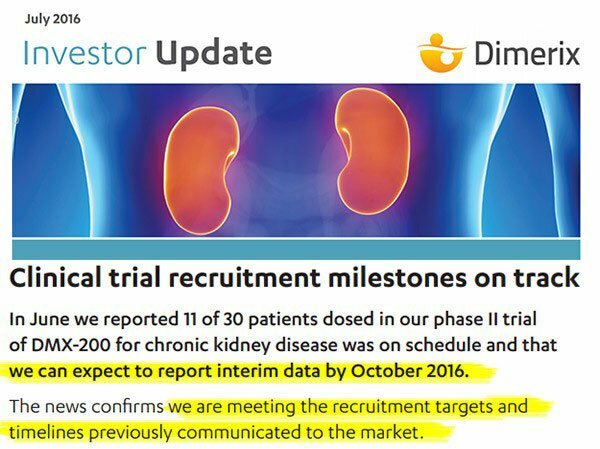 Dimerix’s proprietary screening assay, termed Receptor-Heteromer Investigation Technology (Receptor-HIT), was used to identify DMX-200 and formed the basis of an internal drug development program, initially for the treatment of a subset of patients with CKD. The assay enables the identification of pairs of receptors that interact with ligands, small molecule drugs, peptides or antibodies, and then bind to them. For its next development, DXB is lining up DMX-250 — also a combination of an angiotensin receptor blocker and PPG. PPG has previously been used to combat Hepatitis B in Japan and as anti-inflammatory agent in the US. The upside for DXB, is that DMX-250 will enable the development of treatments for Non-Alcoholic Steatohepatitis (NASH), a disease that’s growing at a steady rate across the entire globe, not just Western countries. Alcohol consumption is notoriously bad for your kidneys and your liver, but there are many other lifestyle choices being made that are leading to rises in chronic kidney disease (CKD) amongst all age groups. Here is an article identifying prescription medication as one of the underlying catalysts behind higher CKD rates. More, CKD is not just limited to ageing adults. ...less than 10% of people with CKD are aware they have the condition meaning millions of people are suffering from a disease they’re not even aware of. How much of this market the company captures remains to be seen, so don’t base your investment decision on market factors alone and apply caution to your decision if considering this stock for your portfolio. As diagnoses catch-up to reality, DXB hopes to be in a position to market an effective drug for both CKD and NASH. NASH is a potentially deadly, non-viral liver disease that progresses through to liver failure if left untreated. Currently, there are 6 million sufferers just in the US, many of whom are unware of their condition. The worst part is NASH has no known cure and no established treatments whatsoever. If DXB can get a product out into the market that addresses this problem, it may have a huge head start and advantageous market position for a considerable time. According to the World Health Organisation (WHO) , “over the past couple of decades, it has become increasingly clear that non-alcoholic fatty liver disease (NAFLD) and non-alcoholic steatohepatitis (NASH) are now the number one cause of liver disease in Western countries”. The WHO (no, not the rock band) goes on to say that at least 1.5 billion adults were overweight or obese and 170 million of the world’s children were overweight or obese in 2008. This is hugely important because NASH is widely considered to be the liver expression of the metabolic syndrome — in other words, anything that affects the metabolism in any great way, will tend to affect NASH. There is currently a raging worldwide epidemic of diabetes and obesity. In some parts of Africa, obesity afflicts more children than malnutrition. The numbers are continuing to rise, indicating that NASH will become an increasingly common liver problem in both rich and poor countries. NASH is on course to increase the global burden of liver disease and fuel public health-care costs globally. Research & Markets estimates that NAFLD/NASH will increase 5-year direct and indirect medical costs by 26%. With the target market looking every bit as plump as it possibly could be, now is the time for DXB to push on and progress both its DMX-200 and DMX-250 as soon as possible. And if there’s one thing investors like to see, it is independent validation of a company’s technology. DXB’s Chief Scientist scooped the Novartis Prize as awarded by the British Pharmacological Society earlier this year. The award was given to Professor Kevin Pfleger for his “pioneering research, including the discovery of DXB’s lead development program, DMX-200”. Professor Pfleger is also the co-inventor of the Receptor-HIT technology assigned to DXB from The University of Western Australia. Receptor-HIT was used to identify the DMX-200 therapy in an internal drug development program, initially for the treatment of a subset of patients with chronic kidney disease. 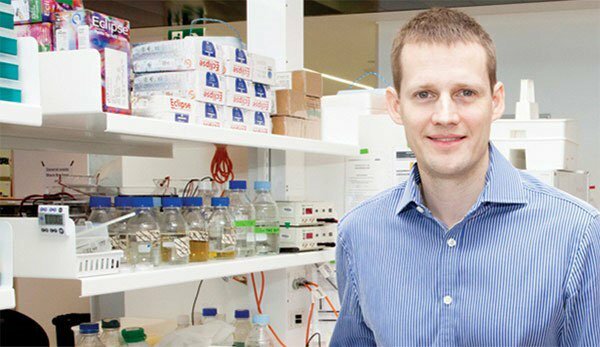 If that wasn’t enough, young Professor Pfleger has also won other prestigious awards within biochemistry in recent years. He was named Western Australian Young Scientist of the Year 2009 and his work featured as one of the NHMRC 10 of the Best Research Projects 2010. In 2011, he was awarded the Australian Museum Eureka Prize for Emerging Leader in Science. In 2012 he also won The Endocrine Society Early Investigators Award and the WA Young Tall Poppy Science Award. Having a multi-award-winning scientist with protégé features in its corner is most definitely a plus point for DXB — and that’s exactly the kind of thing early-stage biotech companies can use to attract a wider audience to its story. As seasoned biotech investors may already know, biotech companies tend to require a decent amount of incubation time before they bloom into commercial harvests — DXB is no different but the good news is that DXB has some solid milestones to look forward to before year-end. You can read more about DXB’s internal strategy directly from its leadership: DXB Executive Chairman James Williams was interviewed by Finfeed earlier this year , where he gave some candid answers relating to DXB’s imminent future. Chronic Kidney Disease (CKD) is a growing problem. More than that, it is turning into a slow-motion quagmire that will afflict the vast majority of wealthy society. Every international research agency or medical research shows that CKD (and NASH in particular) are causing increasing problems for patients and healthcare budgets. One of the biggest issues, is that only ~10% of sufferers know they have CKD or NASH. 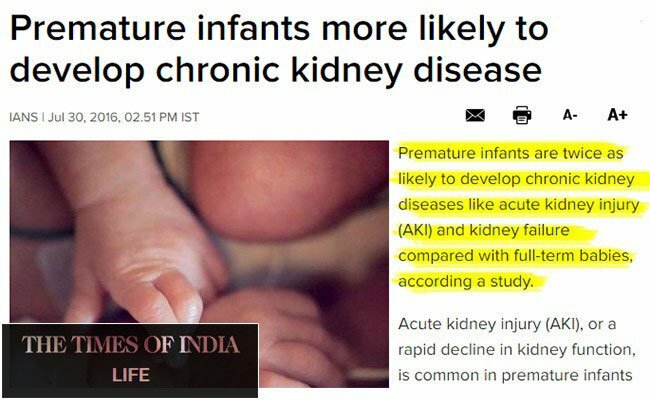 Over time, as diagnoses improve, this will likely lead to a further boost to kidney-related ailments being reported by patients. DXB wants to have a viable treatment for both CKD and NASH as soon as possible because so few treatments currently exist, and yet the problem is growing exponentially due to growing obesity, diabetes and metabolic problems caused by modern lifestyles largely reliant on processed food, prescription medication and high sugar/calorie consumption. Is DXB a de-risked entry into biotech? With DXB’s DMX-200 and DMX-250 platforms now picking up momentum as part of Stage 2 trials, DXB is something a tad more than just an early biotech play. ...and with plenty leftover for future development. However the biotech space can be volatile and anything can happen, so seek professional financial advice if considering this stock for your portfolio. According to consultations with the FDA, DXB could potentially navigate a fast-tracked route to Stage 3 trials and final approval. More broadly, DXB is developing a ‘drug-discovery platform’ rather than individual drugs per se; which means a whole heap of further R&D opportunities down the track. So, not only is DXB a high-potential biopharmaceutical company, it is also a very capable pharma-technology enabler courtesy of its award-winning DMX-200/250 platforms that may conjure up treatments for other debilitating diseases. DXB is the kind of biotech stock investors tend to pay attention to: an undervalued $2MN-capped company that is working on both a commercial opportunity in a growing market, but is also pushing towards a huge leap forward in terms of how drugs are discovered in the first place. DXB’s drug platform approach is based on sound theory and initial indications of DXB being able to develop a viable CKD drug are positive — now is the time to see how DXB can translate that into biotech market traction.